Coffee doesn’t need to create any waste to taste great! In May of 2017, People’s Design Lab asked people to nominate for the products that were most #designed4trash as well as provide their ideas for more sustainable alternatives. The top 3 most voted items would then receive their own campaign. Believe it or not, coffee capsules were voted number 3. Many consider coffee to be an integral part of their daily routine. In fact, 2.25 billion cups of coffee are consumed globally, every day. 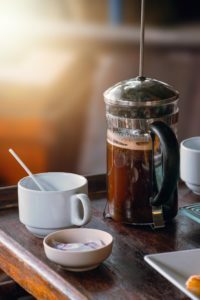 This popular beverage has been transformed and rethought many times over, and the newest trend being seen in the coffee world is that of disposable coffee capsules. They gained popularity for their novelty and convenience, however this technology is extraordinarily unsustainable from start to finish. Unlike normal coffee, every single serving requires a plastic capsule in which to hold the contents. This requires fossil fuel extraction, and energy to produce the cups. These capsules can only be used in machines designed specifically for them, hence there is also a decrease in the demand for these limited use coffee makers. Finally, the capsules are used one time and then thrown out. 1. Perhaps the least impactful of all coffee brewing methods is French press. 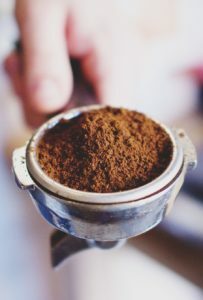 Simply add some ground coffee and boiling water, allow to sit for a few minutes, and then press the plunger down to access your cup of wonderfully fresh, and plastic free coffee. 3. For those who savour the rich intensity of espresso, the trusty and traditional espresso machine provides better flavor than any coffee capsule could dream of. This is done by compacting fresh coffee into a small holding device, then forcing piping hot water through it. 4. For a more exotic twist, try Turkish coffee. This style uses extremely fine coffee grounds, which are then stirred with boiling water and served without any filtration. Traditional Turkish coffee brewing, don’t worry you can also do this on your stove at home! 5. Some intelligent people have actually devised a reusable pod expressly for coffee capsule machines, so if you already own one, this is a wonderful alternative. 6. The traditional Italian method for making coffee at home, a stove-top way to make great coffee with now waste at all. Make great coffee at home, using only a stainless steel Moka pot guaranteed to last for years and years with simple maintenance. Due to the sheer enthusiasm regarding coffee, there truly are an abundance of different methods and options to create the perfect cup. So, next time you go for a coffee capsule, why not explore what else out there – the environment and your taste buds will certainly be better for it. "Nina joined Zero Waste Europe in February of 2017 as a volunteer content creator while completing her MSc in Environmental Psychology from the University of Surrey.She received her BS in Environmental Studies from UC Santa Barbara in 2013 and went on to try a wide array of things including learning to mountain bike, working at a shoe shop, teaching English in Thailand and working as a naturalist at an outdoor school.With each of these experiences she realized the link to a sustainable future was reconnecting with and empowering oneself, and by doing this we reconnect with our communities and our environment. In July of 2017, she will be participating in Climate KIC, an entrepreunership summer school geared towards climate change solutions, with the hopes of learning the tools to bring her passion for a more harmonious human - nature relationship to life."